Orange Pound Cake is rich and flavorful, with a beautiful orange scent and a creamy orange flavored cheesecake swirl. Pound Cakes are common on our blog, as we love making them puffy and delicious. Like our popular Pumpkin Pound Cake, Triple Chocolate Pond Cake and Persimmon Pound Cake, this one will be a easy one to enjoy! 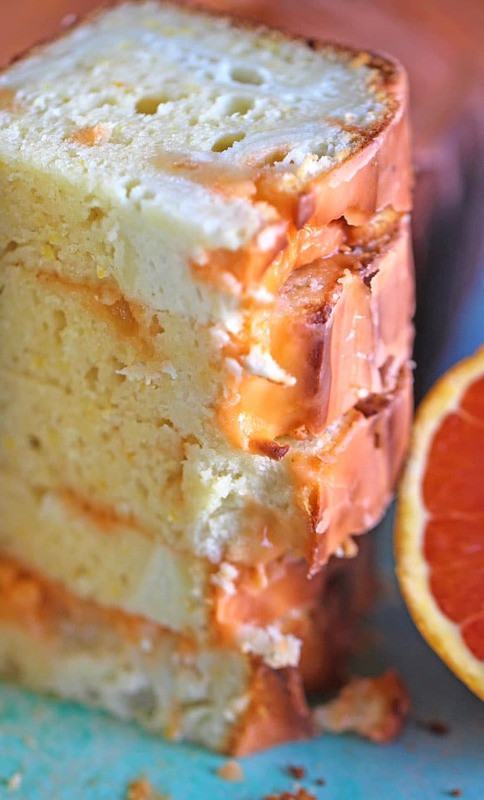 Orange Pound Cake that tastes like Orange Creamsicles! 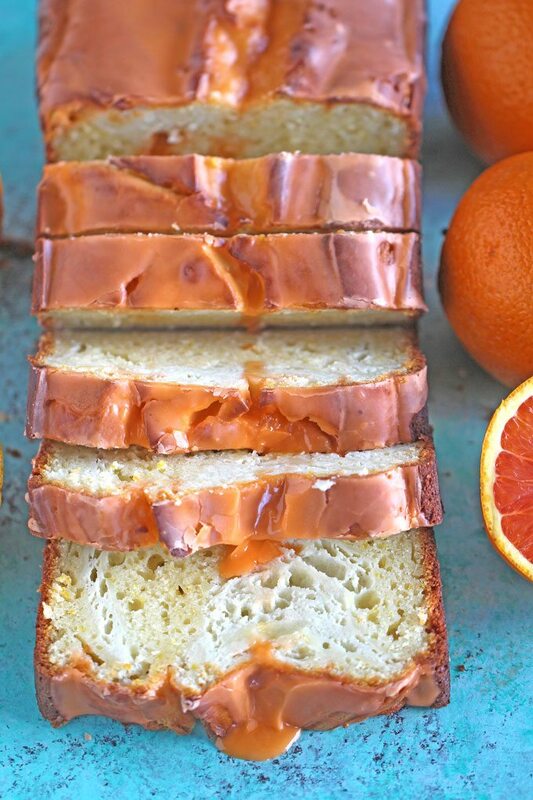 This dreamy Orange Pound Cake is loaded with orange flavor from the orange extract. In addition, it have tons of fresh orange zest and orange juice! With a delicious orange cheesecake swirl, this cake tastes like tropical heaven! Now, this is a delicious way to get your share of Vitamin C. You can make this pound cake with your favorite citrus, either lemons, oranges or even grapefruit. Moist, rich and not too sweet, a slice of this pound cake is the perfect coffee companion. It tastes refreshing and bright, just like it looks! The cheesecake swirl adds the right amount of creaminess to remind you of the classic orange creamsicle dessert! The recipe asks for a LOT of orange extract, a few tablespoons to be precise. You need all that extract for the orange flavor to truly shine. Also, don’t skip the orange zest, it adds a fresh and more natural orange flavor. In addition, a bit of texture and visually the tiny orange specs thru the white cake are gorgeous. Let the cake completely cool before slicing, because the cheesecake swirl needs to settle first. 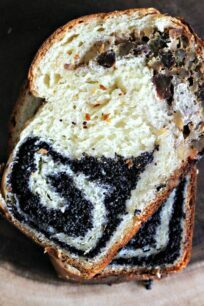 The cake can be made without the cheesecake swirl. 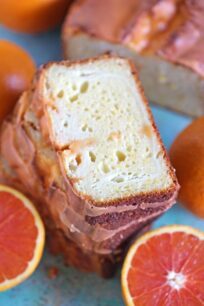 It will result in a traditional Orange Pound Cake or you can use any other citrus fruit. The glaze is optional, but it is a nice addition to the overall not too sweet cake, and it adds another level of orange flavor. 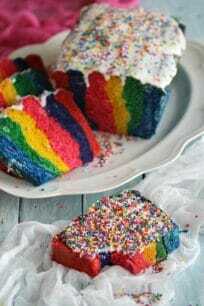 Make sure you don’t over-mix the flour, as it will result in a stiff cake. How Long Will Orange Pound Cake Stay Fresh? Can You Store and Freeze This Orange Pound Cake? Absolutely! This cake freezes well. Cool the cake completely and fully wrap it in plastic wrap, tightly. After that wrap in aluminum foil. Freeze for up to 2-3 month. Defrost before slicing. Then, grate the skin of the orange only. Grate just enough to get through the orange skin, this way you can avoid the bitter white pith underneath. Gel Food Coloring – this set comes in a variety of colors and it won’t add extra water to the batter or glaze, also it will result in a gorgeous, deep color. Orange Extract – this will add an amazing orange flavor to any dessert! Orange Pound Cake with Orange Glaze is rich and flavorful, with a beautiful orange scent and a creamy orange flavored cheesecake swirl. 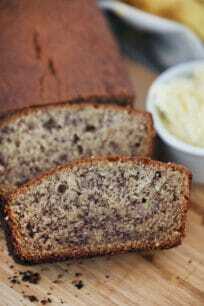 Spray a 9x5-inch loaf pan with baking spray and set aside. In the bowl of an electric mixer combine: eggs, sugar and yogurt, and whisk well until smooth and fully combined. With the mixer on low speed, add in the oil, orange extract and orange zest, whisk on low-medium speed until combined. Stop once to scrape the sides of the bowl with a spatula. Add the flour, baking powder and salt to a medium bowl, stir to combine. Fold in the dry ingredients into the batter using a spatula, mix well until almost smooth, a few lumps will still be visible. Add the cream cheese to the bowl of an electric mixer and whisk on high speed for 1-2 minutes until light and creamy, add the sugar and whisk on medium until combined. Whisk in the egg and orange extract, scrape the sides of the bowl and whisk on medium speed until smooth, with no lumps. Add half of the orange cake batter to the prepared pan, top with ⅔ of the cheesecake mixture and swirl using a spatula. Top with the remaining orange cake batter and the remaining cheesecake mixture, using a spatula, again swirl the cheesecake into the orange cake batter. Bake for about 50 to 60 minutes, or until a toothpick inserted into the center of the cake comes out clean or with a few moist crumbs but no raw batter. In the last 10 minutes of baking, cover pan with foil loosely to prevent excessive browning on the top and sides. Remove cake from oven and allow to cool in the pan on top of a wire rack for a minimum of 30 minutes, before inverting onto rack to cool completely before glazing. Add the confectioner's sugar to a small bowl, add orange juice one tablespoon at a time, whisk until smooth and combined after each addition. If the mixture is too runny for your liking, add more confectioner's sugar, 1 tablespoon at a time. If the mixture is too stiff, add more orange juice, 1 teaspoon at a time. Once the mixture is fully combined with no lumps, add a few drops of orange gel food coloring and mix until fully and evenly combined. Evenly drizzle glaze over cake before slicing, let the glaze settle for at least 15 minutes before serving. Store the cake in an airtight container at room temperature for up to 5 days or in the freezer for up to 6 months. Creamsicles were my favorite childhood treat! This is NOT going to last long in my house!! Yum! This looks like the perfect pound cake to say goodbye to winter and hello to sunshine! Loving this! I love all the orange flavor in here, it must smell as amazing as it looks! This orange pound cake looks like the perfect sweet treat!